Searching for the best tips for selling raffle tickets? So you’ve spent a huge amount of time meticulously planning your raffle and getting all your ducks in row. Now the success of your raffle hinges on promoting your raffle. 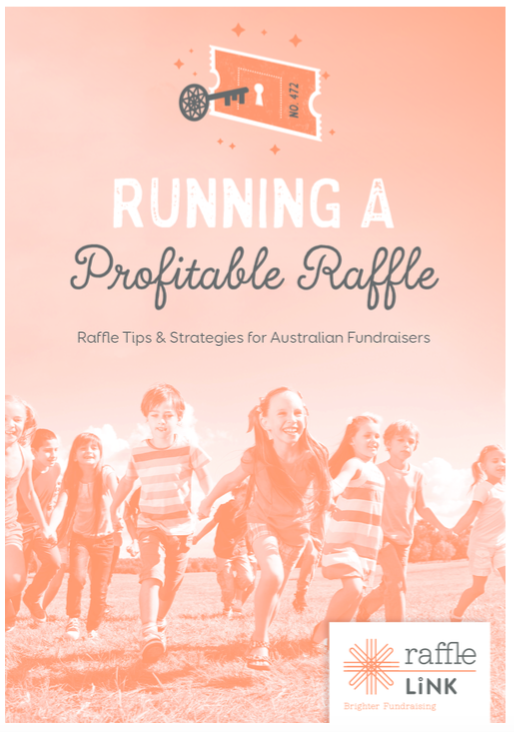 Here’s our top 9 ideas for selling raffle tickets so you can plan your promotion, hit the ground running and maximise sales. In today’s digital age selling raffle tickets is easier than ever before. With the least amount of effort you can reach out to the masses of potential ticket buyers via online. But first begin by targeting an already engaged audience – your supporter base. A well worded email to your membership/supporter base to promote your raffle and let people know how they can purchase a ticket is a must. Visit our blog 7 Top Tips to Write an Engaging Charity Email and download our email template while you’re there. Next, sell even more raffle tickets by accessing a new audience. Use your current social media options to spread the word about your raffle to your current supporters. On Facebook consider paid promotion to target a new and defined audience. Zone in on people who are like-minded, share similar interests, would value your prize, are in your geographically area and your preferred demographic. Approach businesses or clubs where your raffle prizes would be highly sought after by their contacts. If your prize is musical oriented, then you may wish to align yourself with a music shop or musical event. Create shareable promo material and ask the business/club if they are willing to share your raffle with their database. They can only say “No”. Sponsors of your raffle expect publicity in return. They anticipate that the kudos associated with supporting your raffle will translate into additional business. So create some shareable promo material in the form of an email or Facebook post about your raffle that they can easily share with their customers. They receive the accolade for assisting a local non-profit and you receive the sales. Get in people’s faces. Great sales can be made by setting up a raffle table at a shopping centre, local services club, sporting event, local markets, fairs, festivals, gala evening or community events. For face to face ticket sales, approach your local community club to see if you can man a table on one of their busier nights to sell raffle tickets. Most club members are accustomed to raffle fundraisers and are generous in this relaxed atmosphere. You could also arrange to man a table at your local weekend market or shopping centre. Don’t forget to investigate the upcoming community events in your area too. Selling raffle tickets face to face will benefit from strategically positioning your raffle promotion to reach out to your chosen audience. For example, if your prize would appeal to a soccer fan, then consider promoting your raffle outside the stadium before a match begins. If your charity’s cause appeals to animal lovers then position yourself at a dog park, beach foreshore walk or at the entrance to a zoo. Sure there is the mandatory announcements by the MC and strategically positioned posters, but here are some more creative ways to catch the eye of potential buyers at your event. When selling raffle tickets at an outdoor event, footpath decals are a fun & engaging way to draw attention. Use them as footsteps to guide event goers from your entrance to your raffle table. Have them professional created or make your own by laminated a poster cut out in an interesting shape. Place your raffle front & centre at your seated event with table talkers that outline the raffle prizes and how to purchase a ticket. Often seen in restaurants, table talkers are essential cardboard promotional signs which can be varied in size and format. Printed placemats are another option for seated events. If selling raffle tickets online include the raffle page URL or a QR code allowing people to scan with their smart phone and visit the buying page in 2 easy clicks. Take ticket sales out into the crowd at an event accompanied by a costumed chaperon to grab attention. Ensure your ticket sellers are clearly identified in the crowd by a uniform or colourful shirt. As a guest, there is nothing worse than being continually approached during the event by exuberant raffle ticket sellers. Offer those who buy a ticket a promotional wrist band or badge to wear so they are easily identified. If you have visited a table to sell tickets, then leave behind a helium balloon as a marker. So, if you want to sell more raffle tickets get your promotional ducks in a row. It’s the difference between raffle success and wasting months of your life unnecessarily. For more promotional ideas for your next raffle visit the RaffleLink Blog at www.rafflelink.com.au/blog and enter “promotion” in the search box.